We have successfully represented injured drivers and passengers in almost every imaginable car accident scenario. 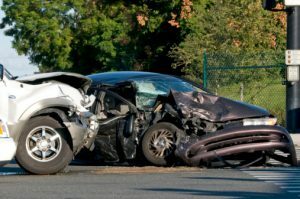 From head-on collisions, rear-end collisions, drunk driving accidents, hit and runs, pedestrian accidents, bicycle accidents, and motorcycle accidents–Thomas, Ferguson & Mullins stands ready to help you get the compensation you’ll need for medical bills and vehicle repairs resulting from a negligent accident. According to the National Highway Traffic Safety Administration, there were 2,443,000 injuries resulting from car accidents in 2015. Car accidents can cause any number of injuries including fractures, broken bones, spinal injuries and brain injuries. We’ve helped others in their time of need and want to help you too. We take these claims on a contingency basis, so we earn our fees when we win your claim. After a car accident, call for help and seek immediate medical care. Your medical record will be important evidence in your case, so be sure to tell the doctors about any pain or discomfort you feel. If you are able, take pictures or video of skid marks, road debris, and property damage. If possible, do this before vehicles are moved. Obtain names and contact information of all potential witnesses and if possible even obtain a written statement. Get license tags and names and other contact information of other drivers and copies of other eyewitness photos too. You should also contact your own insurance company and report the accident right away. An insurance company may offer you a settlement right away–don’t sign a thing before you speak with an attorney. The compensation you receive will have to be sufficient to cover things like medical bills, vehicle repairs, lost wages, as well as pain and suffering. You shouldn’t have to bear the financial burden of injuries caused by another’s negligence. Car accident victims are entitled to recover financial compensation, commonly referred to as damages, for the consequences of their injuries. Damages can include compensation for medical expenses from the initial hospitalization, emergency room care, diagnostic tests, and other reasonably related medical expenses such as physical therapy and surgery. This should also account for future medical care. You may also be entitled to compensation for last wages or a loss of earning capacity. Damages can be won for issues that cause a loss of enjoyment of life and for psychological and emotional issues. Scarring and disfigurement are examples of physical injuries that can result in psychological harm. We will fight for the compensation you deserve!